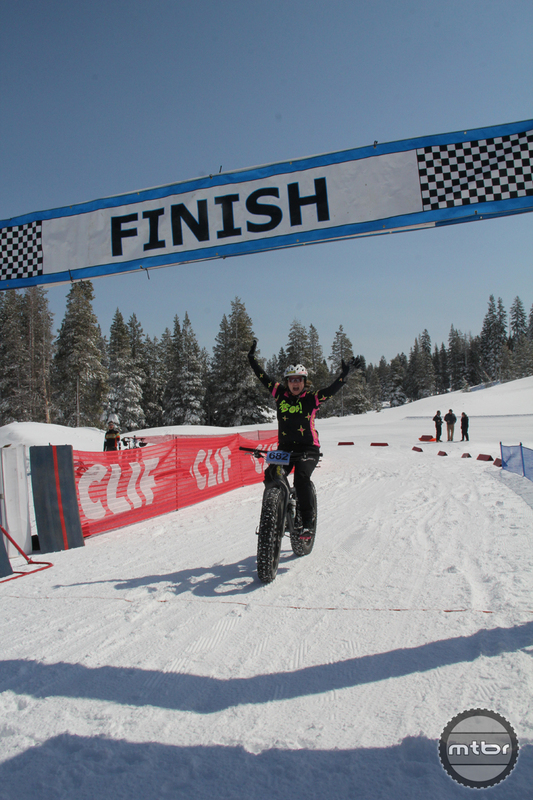 Pioneering a new type of racing in Donner Summit, Lake Tahoe area. 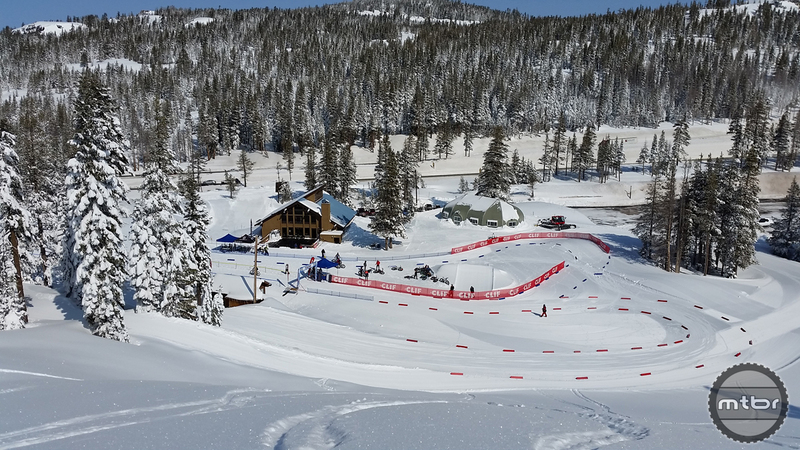 The inaugural NorCal FatDuro was scheduled for February 19th. As the date approached, we sat in the middle of a week-long storm that dumped stories of snow, causing mud slides and road closures all over the region. With conditions and weather sub-prime for the fun event we had envisioned, we elected to reschedule the race to April 9th, hoping for that bluebird day everyone could enjoy. Thank God we did! 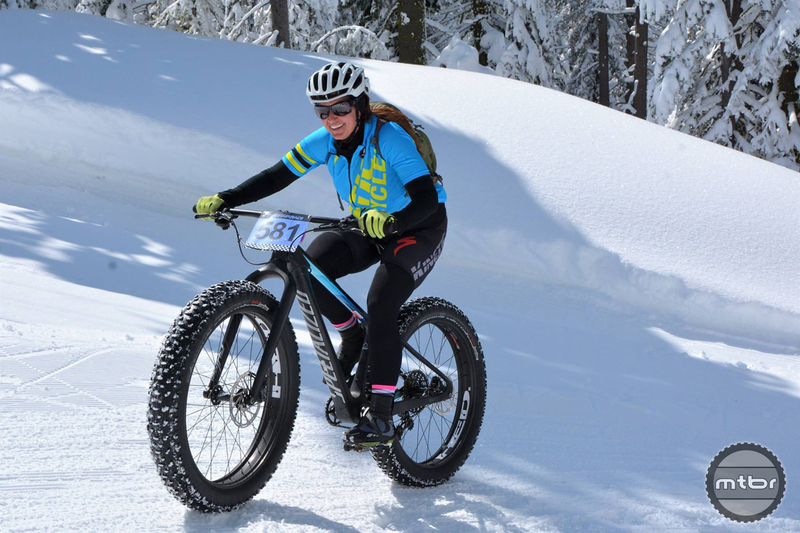 While some riders were off grinding gravel, chasing UCI points in SoCal heat or suffering on a long road race, dozens made the trek up to Donner Summit to race fat bikes on mountains of snow. 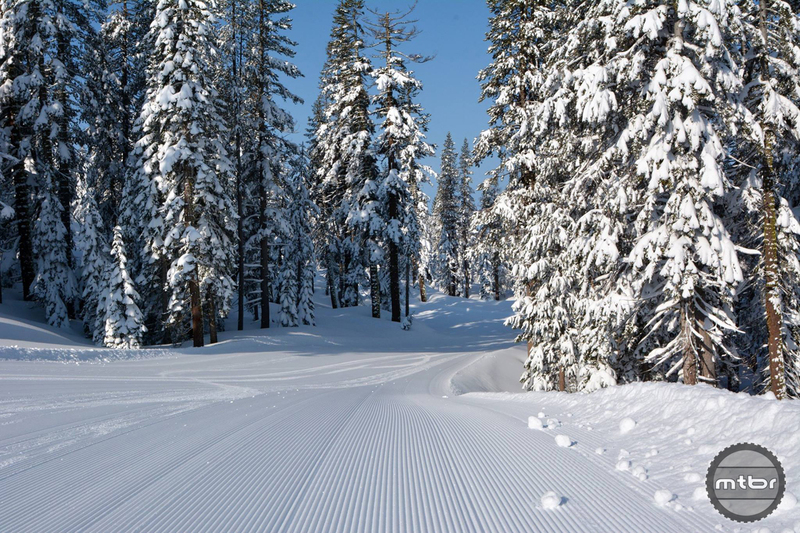 Working closely with the staff at the Auburn Ski Club Training Center (ASC), we developed a course change from the original three loop format. 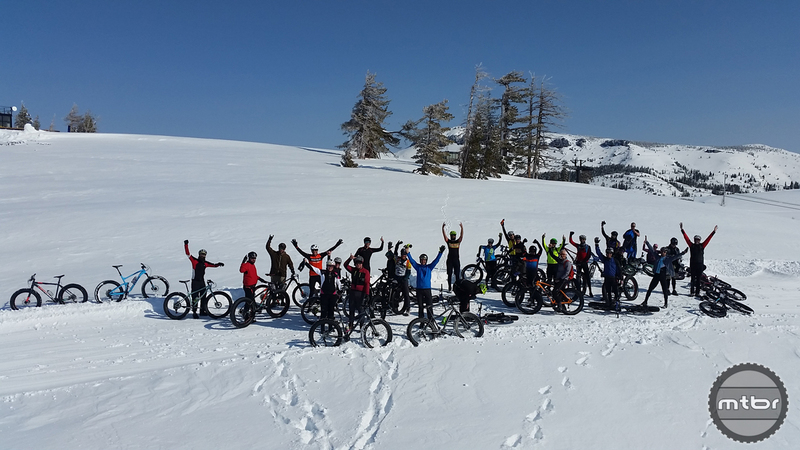 Riders would kick off the race with an untimed climb up to 8,000ft and then set off on a DH run back to the lodge for stage one. Two more loop stages awaited before final results would be tallied. 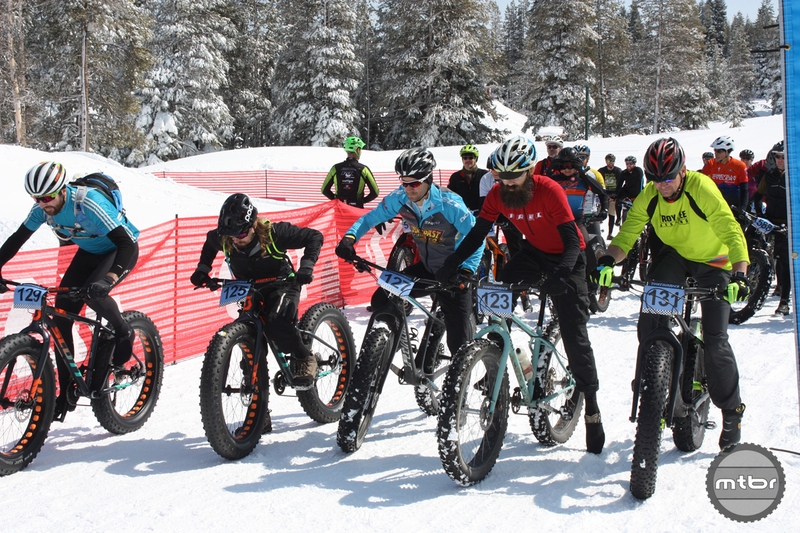 Thanks to Mike’s Bikes, Paco’s Bike & Ski, and Scott Sports, there were sixteen fat bike and plus bike demos available to participants at no charge. 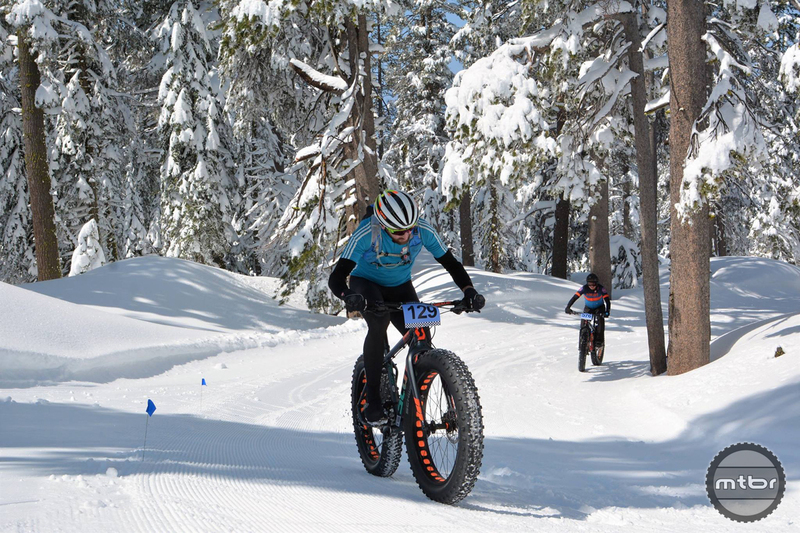 Several racers had never ridden a fat bike previously, and were extremely grateful for the chance to try out this new method of fun. 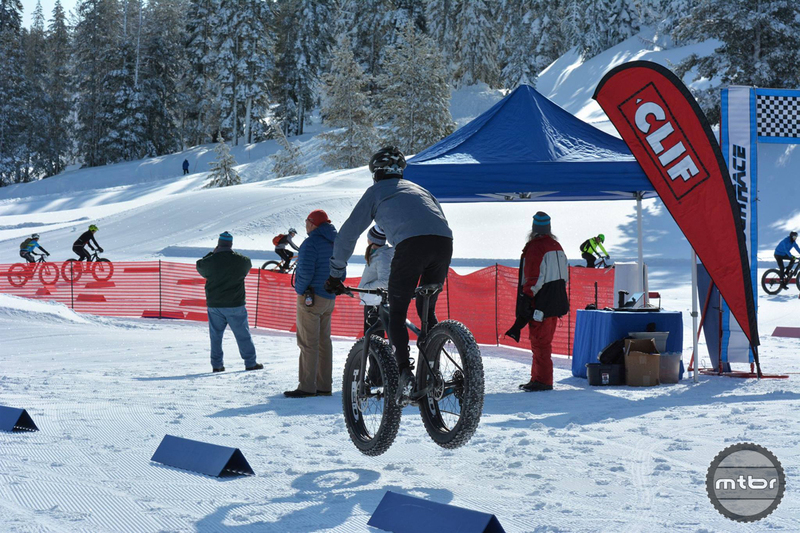 “Even though I don’t have a fat bike, and have never ridden in the snow before, I was able to do a fun event that combined both, was able to demo a bike for free, and the event was really well run too, felt very supported.” – Jason King (Team Lost Cost Brewery), Expert Category overall winner. 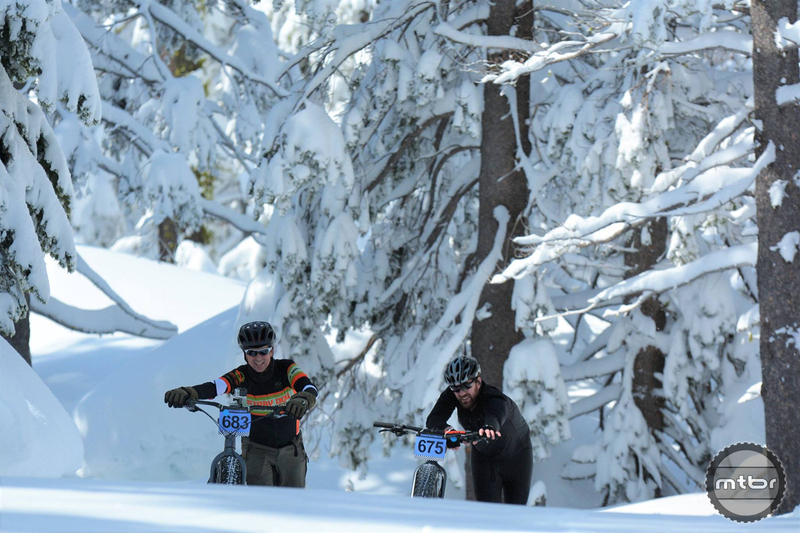 With the diligent grooming efforts from ASC, the inclusion of plus tire bikes was possible. A handful of riders took advantage of this and brought their own or took a demo out on the course. Under race day conditions with mostly firm snow, there seemed to be only a slight disadvantage where traction was needed during climbing. (Think of it like allowing mountain bikes in a cyclocross race.) 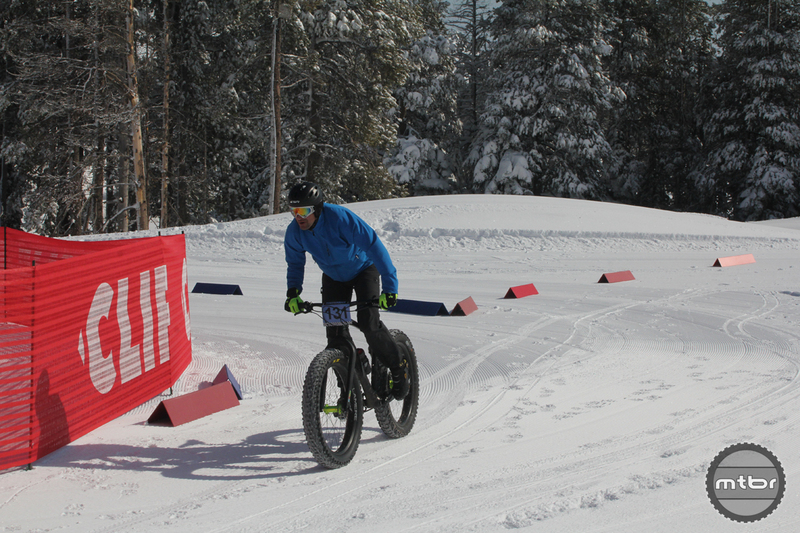 However they had to constantly be searching for the firmest surface where the fat bikes would glide over anything. Racers began the first timed stage in mass starts by category wave. 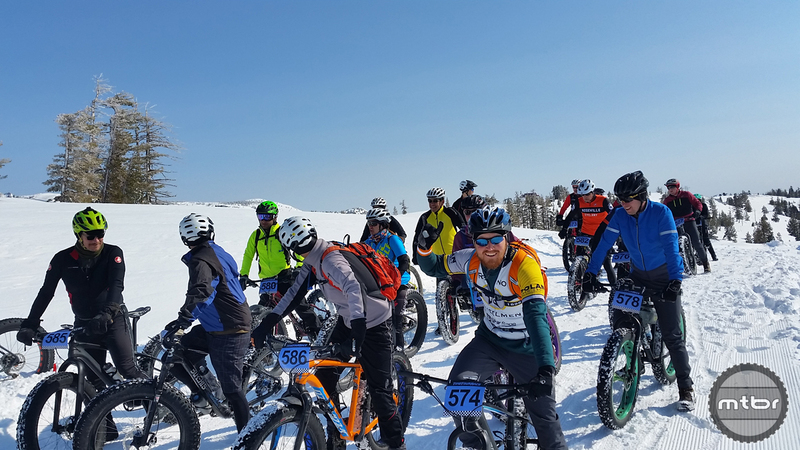 We felt this would be more exciting than individual starts, given the trail system is all wide groomed swaths of packed snow that would allow for close racing. The racers certainly enjoyed it, with every racer completing the stage with a smile on their face and debriefing the events that unfolded in the stadium. Despite the few small climbs in the stage, the fastest time down would be set by none other than downhill legend Mike Galeoto with a time of 8:13. 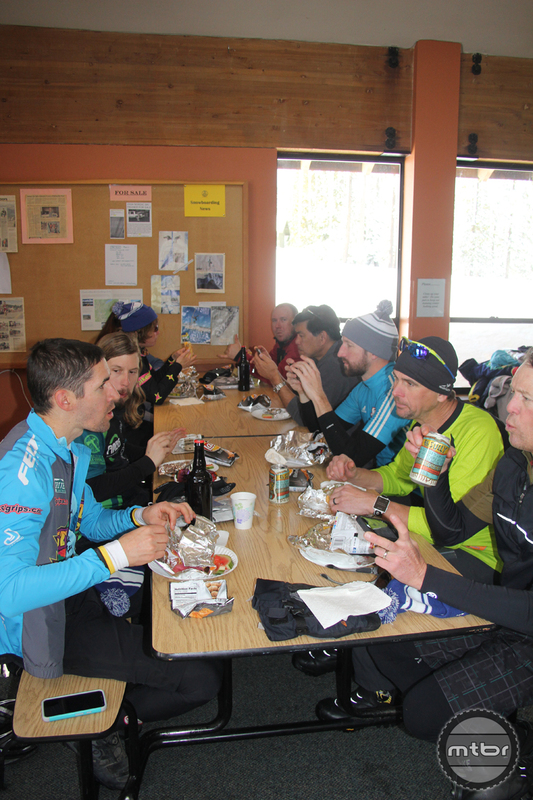 Racers enjoyed a little down time in between stages with a chance to grab a snack from Clif, stay warm in the lodge or just hang out in the stadium. 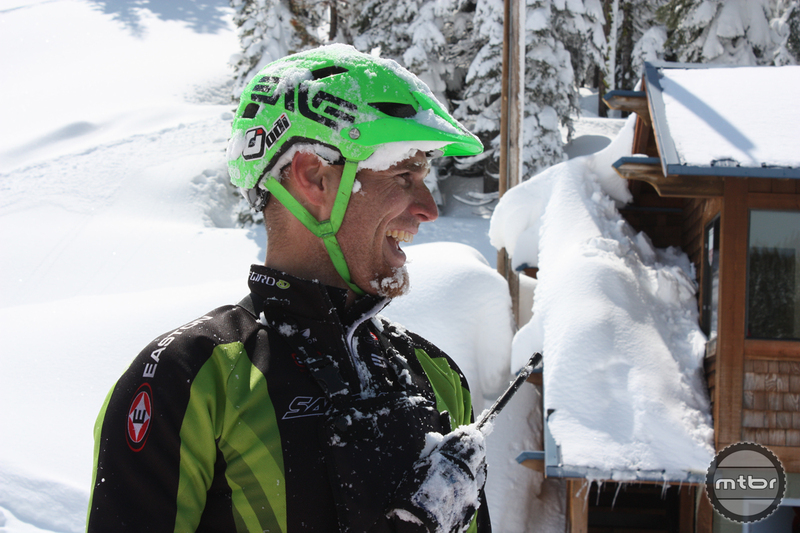 I took the opportunity to head out for a quick lap on the short loop to make sure course markings were dialed and to check on the snow conditions. The trails at ASC are all on rolling terrain, so there’s no open valley slogs but every short climb is energy sapping at altitude. Snow conditions were still quite good overall, but there were unpredictable soft spots due to the recent storm and it was beginning to warm up into a beautiful spring day. With that, I made the decision to cut the lap counts, putting everyone on the long course for just one lap (instead of three for experts and two for sports), and reducing the lap count on the short loop by one lap. 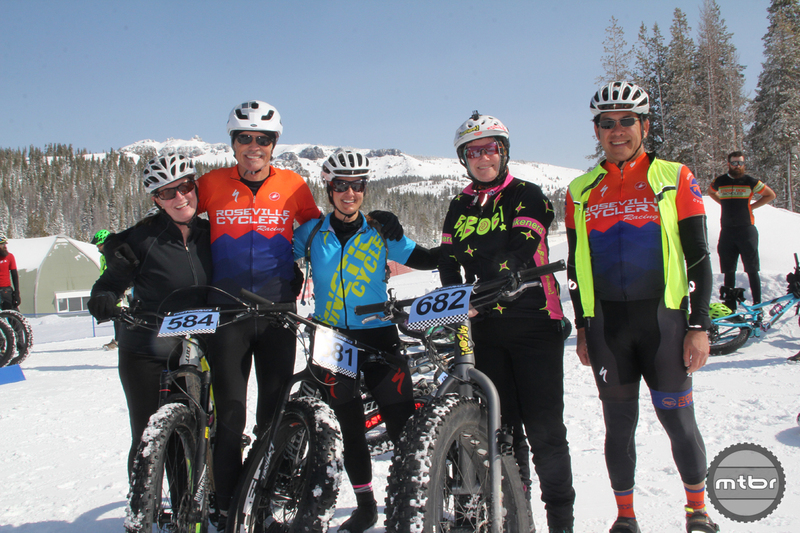 It’s always a tough call to change the race format, but I felt this would maintain the fun attitude, stay truer to the enduro format, and keep the race from turning into a long slog sufferfest. The feedback we received from racers regarding the change was positive overall, with just the more seasoned riders and endurance-focused wishing for more time on course. “This was an excellent, well organized event that was a great value as well! Everyone involved in the event was helpful, nice and contributed to making this low stress and highly enjoyable. 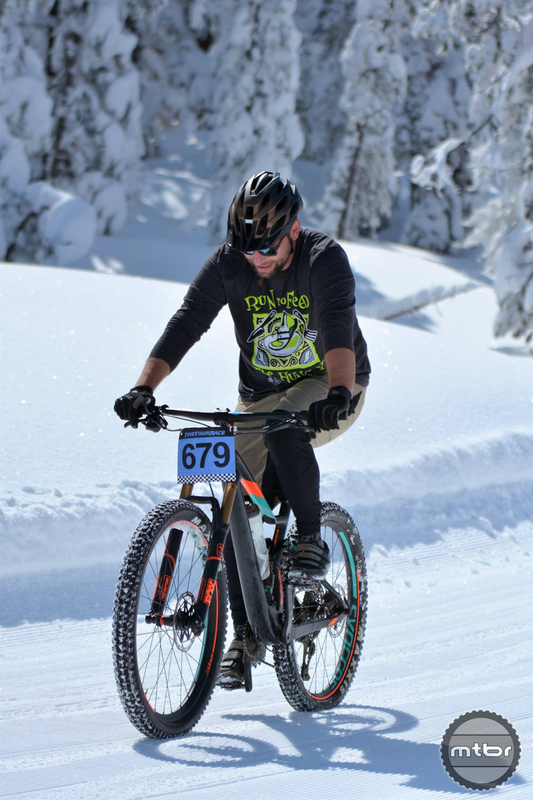 Having access to demo bikes at no additional charge, including a long sleeve T-Shirt, beer, lunch, and podium prizes made this the best bang for your buck race I’ve done in a long time. I’ll definitely come back next year!” – Adam Havner, 4th place Expert.